Collaboration and support among teachers is efficient for various education activities. Collaboration is especially significant in Content Language Integrated Learning (CLIL) classes. However, very often teachers have a lack of understanding about CLIL and teacher collaboration in CLIL. There are not many studies conducted on this topic. So in this blog I would like to throw light on two relatively new studies investigating teacher collaboration in CLIL. Collaboration in CLIL is a teamwork of content subject teachers and language teachers. Some researchers (García & Vázquez, 2012; Rymarczyk & Yearwood, 2016) studied the way how content and language teachers work together and explored different types of collaboration. Research findings were controversial in some contexts. For instance, content teachers in one Andalusian school really appreciate collaborative work with language teachers (García & Vázquez, 2012). On the other hand, some language assistants show misunderstanding of “the connection between content and language in the CLIL class, not having a clear idea of the role language plays in the learning process” (p. 584). Thus, language teachers in this school focus mostly on teaching vocabulary needed for content classes and repeating information previously given by content teacher. In this case, I think the collaboration among teachers is far from efficient, because language teachers do not really understand their role in CLIL classes. The opposite situation seems to happen in Germany, where Rymarczyk and Yearwood (2016) investigated cross-curricular collaboration between content and language teachers. After conducting surveys researchers found out that content teachers do not want and do not ready to get help from English teachers. At the same time, English teachers show high level of willingness to provide support for content subject teachers. Rymarczyk and Yearwood (2016) also highlighted that despite opposing views both content and language teachers admit that collaboration helps them to save time. Moreover, while working together teachers build so called “parallel collaborative structure” and improve their communication and positive attitudes toward each other (p. 266). All in all, I want to highlight that teacher collaboration in CLIL is crucially important. It is even seems impossible to provide quality content and language teaching without teacher collaboration. The main problem that should be addressed is teachers’ misunderstanding of this collaboration. How do you think what other benefits can teacher collaboration bring to CLIL classes, that were not mentioned in the blog? Rymarczyk, J. & Yearwood, T. (2016). 1 subject + 1 subject = 1 subject-teacher? Teacher beliefs on cross-curricular collaboration in forming the design of CLIL degree courses. Language in Different Contexts,7(1), 260-268. Nazarbayev Intellectual School International Research-to-Practice Conference created academic environment where presenters and participants could exchange ideas on various education topics. One of the most inspiring sessions for me was UNESCO Report presented by Katarzyna Kubacka. Presenter devoted considerable attention to the notion of accountability. Before attending this seminar I did not have a clear view of this notion. Katarzyna highlighted in her speech that accountability can be used to solve different problems in education. Government, teachers, parents, students, international organizations and private sector all can influence and change education system. All of them can effectively work together and all of them have a role to play. Since accountability is mostly linked to the individual institutions, each of the above mentioned stakeholders is accountable for a particular area in education. Stakeholders can fix problems within one specific field; however they cannot be accountable for things that are beyond their control. 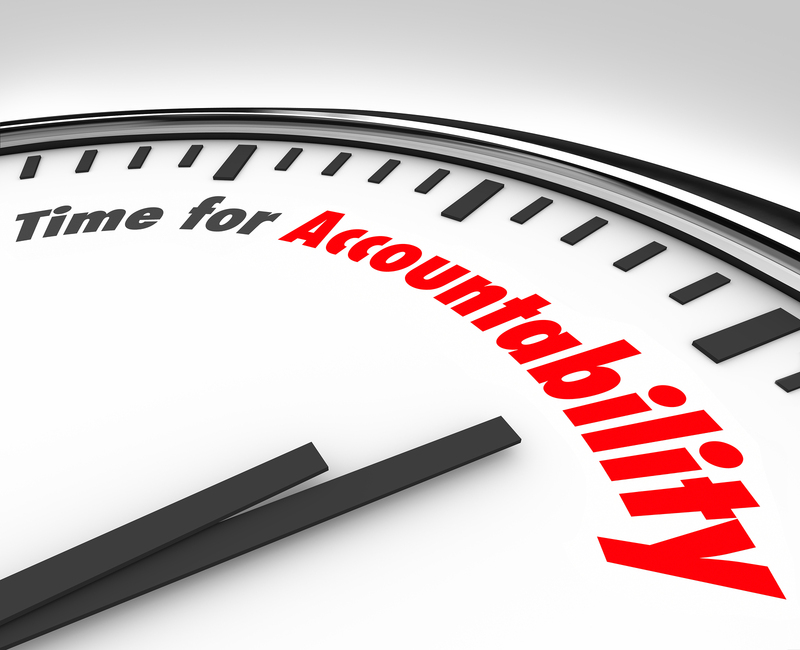 Katarzyna Kubacka outlined that sometimes key stakeholders try to avoid accountability. For instance, it happens when government transfer accountability for education failures on teachers. Thus, it often happens that teachers are solely blamed for students’ poor learning outcomes. I think, that in some cases teachers are asked to be accountable for things that they cannot fully control. As O’Neill (2013) pointed out in his article “Intelligent accountability in education” authorities often make teachers accountable for “bogus units of measurement” in students’ assessment (p. 14). Author also highlighted that it is meaningless to require teachers for reporting back on all kind of assessment, because not everything in education system can be measured. Accountability first of all should be aimed at achieving a quality equitable education for all. Moreover it should stimulate the progress of education. Since accountability cannot be shared, every stakeholder can be accountable only for a particular part of the common work. At the same time they should work in collaboration to improve functioning of education system. Ancient curse in the modern world? Linguistic diversity as a blessing or as a burden? Almost every nation in the world has its own specific language and culture. In the episode “Why Don’t We All Speak the Same Language?” professors from different fields discuss possible costs and benefits of linguistic diversity to our societies. As I have noticed, speakers in the beginning of the episode tried to give information to the audience in an interesting and entertaining way. They supported ideas with examples from personal experience and I found some stories to be really funny. For instance, one of the professors explained that his journey toward studying languages starts at the age of four when he fell in love with a girl speaking different language. Regarding the context and purpose of the discussion, we see how speakers provide some reasons and evidence to support their opinion on linguistic diversity. Director of the economic school Mr. Weber remarks that from the economic point of view linguistic diversity comes at a high cost and has a negative impact on countries’ economy. He used a “linguistic distance” metric in his study and found out that people from different countries speaking the same language can raise their trade benefit by ten percent. Furthermore, Mr. Weber asserts that linguistic diversity in one particular region can lead to linguistic war like in Sri Lanka. Professor McWhorter in his turn stated that linguistic diversity of the world is important for our societies and nowadays it is in danger. He points out that we have about twenty big majority languages that can eat up small minority ones. Consequently in the next century there will be not 7000 spoken languages, but only 3000. To support the importance and benefit of linguistic diversity professor Boroditsky outlines that bilingual people may have better results in some cognitive processes than monolinguals. In addition to that bilinguals are less susceptible to Alzheimer and dementia. It was interesting and new for me to find out a connection between the European Union and the Tower of Babel. I agree with Mr. Weber that European Union can be an example of our modern Tower of Babel. All members of the European Union have different official languages. Moreover, they have to spend a tremendous amount of money on all translations that make collaboration process very difficult. As you can see on the pictures the European parliament building resembles the Tower of Babel by its construction. How can humankind overcome all possible costs of linguistic diversity and safe minority languages? Do you agree that the European Union has some parallels with the Tower of Babel? “Research” can be viewed as a very complex and even scary thing. Indeed, it may be challenging for young researchers to undertake a study, if they do not have sufficient theoretical and practical knowledge. When I just entered Nazarbayev University I knew very little about difficult process of conducting research in education. After one year of studying at NUGSE I improved my theoretical knowledge and now I am ready to use it in practice for doing a real study. This promises to be an exciting and challenging journey. During the past year I was thinking a lot about the characteristics of an ideal researcher. He or she definitely should be hardworking diligent person with an enquiring mind and deep knowledge of the chosen topic. Of course all intellectual skills are crucial, but researcher’s honesty and incorruptibility should be in the first place. An investigator has to be honest with himself/herself, with participants and with the whole community of researchers. After reading one of the CITI training modules, I was shocked to know that researchers’ financial gain can influence the design and report of their studies. It is called “financial conflict of interest” (Angell, 2000). Sometimes investigators, who have financial connections with particular companies, produce only those findings and reports that serve companies’ interests. Such action can harm participants and have to be abandoned. For this reason, every researcher should be responsible towards society and toward every participant. It happens that sometimes investigators are taking risks, but they should never jeopardize participants’ security. Researchers are people who can change our world for the better or at least show possible ways of how to do that. Dear readers, in your opinion, what characteristics, abilities or skills should “ideal” researcher possess? Angell, M. (2000). Remarks. HHS Conference on Human Subject Protection and Financial Conflicts of Interest: August 16-17, 2000, NIH Campus, Bethesda MD. The data interpretation presents an analysis of short video starring with actress Milla Jovovich . Milla Jovovich is an American actress of Russian-Serbian origin. Her father is a Serbian doctor and mother is a Russian actress. Milla knows four languages that are Russian, Serbian, English and French (The Biography.com). This short video presents language shifting from English to Russian and vice versa in her speech. Furthermore, the analysis includes quantitative and qualitative interpretation of the video. Milla Jovovich is on the set of “Resident Evil: Retribution” movie in Toronto and she is recording filming process for fans. The film includes different locations and one of them is Moscow city. That is why Milla addresses to her Russian fans in the video. She greets viewers in both languages and gives similar information about current location. For example: “What’s up, everybody!” and “Здравствуйте, весь мир, моя любимая Россия”. It is noticeable that even though she tries to speak in two languages, the amount of English speech prevails. Overall, Milla switched from English to Russian and from Russian to English 8 times during 2 minutes video. She constructed 24 complete sentences in English and 9 sentences in Russian. The fact that the actress creates full sentences in both languages and shifts from one language to another is a good example of code-switching. Code-switching that Milla uses in the video is more “intersentential”, because she does not mix languages within one sentence, she finishes one idea and then switches to another language (Garcia, p. 50). There are two linguistic contexts in the situation: on the one hand is Russian speaking audience and on the other hand is English dominant audience. One of the reasons why Milla Jovovich chose Russian as the second language in her interview is the current setting of the film. It is supposed to be in Moscow, at the Arbatskaya station, even though it is in Toronto. Milla, being able to speak in Russian, uses this competence to grab Russian fans’ attention to the movie. It is also interesting and fascinating for foreign viewers to see actress speaking Russian and starring in the movie that partially takes place in Russia. In case of Milla Jovovich, as plurilingual individual, it can be more than code-switching. The process of translanguaging including code-switching takes place here. As Garcia (2009) explains “translanguagings are multiple discursive practices in which bilinguals engage in order to make sense of their bilingual worlds” (p. 45). During the first five years of childhood Milla was surrounded by Russian and Serbian languages. When she was five years old her family leaved Ukraine and moved to California (The Biography.com). Since then girl lived in two language worlds: her home languages and language for communication in society. In terms of Cummins (1980) BICS and CALP, I think that Milla acquired Basic Interpersonal Communicative Skills in Russian, but some deep and sophisticated ideas are difficult to express in this language. While in English she has Cognitive Academic Language Proficiency. It is the language in which she studied at school and was exposed to during all her life (Cummins, p. 112). With this in mind, I want to highlight that Russian is the first native language for Milla Jovovich, but her identity is mostly American. American culture is seen in her behavior, gestures and the way she speaks in Russian. It is natural process and identifying herself as American, Milla at the same time respects her roots and mother language. It will be interesting for me to listen how Mila Jovovich talks with her parents. They have lived in the United States of America for a long time and I think they use mostly English speech while communicating with each other. Geoff Mulgan in his Ted speech presented information on a new kind of school. It is called the Studio School. The idea of creation of Studio Schools was raised by the Young Foundation organization. The Studio School is a place where students learn and work simultaneously. Usually it is a small school with 300 or 400 students of 14-19 years old. Studying process there is full of practice and as close to real life as possible. The thesis of this presentation lies in the speaker’s belief that Studio Schools will solve two biggest problems in the education system of the United Kingdom. The first problem is students’ failure to find connections between things they learn at school and their future professions; while the second one is employers’ dissatisfaction with school graduates’ skills, abilities and experience. To support his argument, Geoff Mulgan provided a claim that teenagers understand and learn information better by doing real things and working together in groups. This claim comes from the experiences of the first two Studio Schools in Luton and Blackpool cities, The United Kingdom. The next claim is that students love education system in Studio Schools more than in mainstream schools and find it very interesting. To support the claim Geoff Mulgan presented the evidence of how the students with low academic achievements found themselves on the top of British marking system after two years of studying in the Studio School. Speaker’s argument is supported by the academic studies about non-cognitive skills and academic results in terms of GCSE (British marking system). Moreover, Geoff Mulgan underlines that some influential people, as the minister of education in London and the head of the Chambers of Commerce, support the idea of Studio Schools. The speaker addresses to all educational stakeholders. He wants them to see the benefits of the Studio School and help in fulfilling this idea. Presenter’s tone is confident and inspiring as well as his gestures. I found Geoff Mulgan’s speech very persuading not only because of the evidence presented, but also because of his presenting style. Sometimes he highlighted significant points and repeated phrases. For instance, he mentioned: “It’s happened almost entirely without media coverage. It’s happened almost entirely without big money behind it. It spread almost entirely through word of mouth.” I found this presentation very inspiring and easy to follow. People often feel powerful driving forces inside when they do interesting and exciting things. What kind of power is it and where does it come from? Recently I visited EXPO Speakers Club event and had a chance to listen to the speeches of some successful and creative Kazakhstani citizens. The story of Marat Omarov, founder of the “Eventica Group” company, drew my attention. Marat told us that for him the “idea” of any business was always valued higher than money and other material values. Dropping out of University and being a person without higher education degree, Marat didn’t want to work just for earning money, but only for self-satisfaction and self-affirmation. Luckily, he found the purpose of his life that fits in one word – inspire, to inspire, to inspire people. The point that became interesting for me after his speech is how inspiration and motivation can move education process toward the progress. I found some answers in the work of Bowman (2011) “Rethinking What Motivates and Inspires Students”. Author names intrinsic motivation and pride as the main mechanisms stimulating students to achieve new heights (p. 266). The quote of Katzenbach (2006) presented in the work seemed very meaningful for me: “the peak performers in life are seldom in pursuit of money or formal advancement except as validation of the pride they feel in their workplace achievements” (p. 59). In other words, teacher should develop students’ motivation and pay attention to the question of pride in class environment. A professional instructor knows about students’ interests and can direct their energy and desires into right way. It is always nice to see how students share their inspiration with group-mates. Another group of authors (Williams, Nixon, Hennessy, Mahon & Adams, 2016) conducted a research on inspiring teaching and found out that the main element of comfortable inspiring environment in class is trust between students and teacher (p. 7). Moreover, researchers pointed out that educational process and curriculum should be “informative, engaging and challenging” in order to be inspiring (p. 10). As shown above, inspiration is a great force that can be beneficially used in education. Dear readers, what are your thoughts about inspiration and motivation in education? Can inspiration help students move toward the progress? Physical activities = academic achievements? Regular sport training and physical activities positively affect human mental and physical state. Interesting question is whether physical activities in school improve pupils’ academic results. Some scholars argue that sport can contribute to high achievements in school, while others believe that there is no connection between sport and education. Independently from various opinions, physical education will always be important part of school program. Furthermore, some schools use intensive sport courses to raise academic results. In regard to educational process, physical exercises enhance pupils’ concentration, increase discipline and improve academic achievement (Singh et al., 2012). Singh et al. (2012) draw this conclusion from the analysis of various publications about connection between sport activities and academic achievements. Even so sport is considered as a possible tool for raising academic results, sometimes physical education classes are replaced by “more important” subjects needed for examinations and graduation. Some scholars note a negative tendency nowadays among adolescents; they don’t spend enough time on physical activities. At the same time, there is a group of authors who wrote a response on previous study. They absolutely disagree with the conclusion made by Singh et al. (2012). Hattie & Clinton (2012) state that there is no connection between physical activities and academic achievements, since sport is a beneficial activity by itself and there is no need to draw links between them. Considered both perspectives, I wanted to find a real program that successfully uses sport classes for academic improvement. I noticed one interesting article about Comprehensive School Physical Activity Programming (CSPAP) practicing in many schools in the United States of America (Brusseau, 2015). CSPAP is an approach aimed at pupils’ active involvement in sport process. This approach includes five main components: high quality of physical education in school, sport classes before and after school, involvement of school staff and family members in sport activities, support from the society (p. 442). Experience of CSPAP in many schools proved that well planned physical activities in school can improve students’ academic performance. What are your thoughts about connection between sport and education? Can regular physical activities improve pupils’ academic results? Dog is one of the most popular pets and it can be found in many families. The positive effect of communication between children and dogs has been noticed by parents, educators and researchers. Why don’t we introduce dogs into schools then? Somebody will think it is a crazy idea, but there are schools which already use “dogs’ help” for educational purposes. The experience of “Dogs Helping Kids” charity will be outlined here as a successful introduction of dogs into educational environment. Dogs Helping Kids is a charity organization in the United Kingdom preparing dogs for work in schools and colleges. DHK dogs can be very helpful on their workplaces as classroom assistances. So what benefits do pupils, teachers and parents gain from dogs’ presence in school? Communication with them increases students’ academic achievements, raises their confidence and helps children to cope with stress. All animals are well trained and prepared for particular role. So called “classroom canines” walk around the room during classes; they calm down pupils who feel anxiety and tie all classmates together as a team. It might be considered by some parents as not safety and distracting to have a dog in the classroom. However, results of researches show that presence of dog fortifies children’s active participation in class. There are some children who are faced with problems in reading, performing in front of the classroom, speaking loudly during discussions. These pupils are lucky to have “listening canines” who are always ready to sit close to the child and listen to him/her. They don’t judge; they don’t criticize; they don’t laugh at. The feeling of confidence is rising in children and they improve reading and writing skills. This practice of reading aloud is crucially important for pupils in primary school. It is significant to develop such practices in different schools and share knowledge with institutions in other countries. Dogs in education can be considered not only as assistances, but also as rewards. Pupils can play and train with “reward canines” during the break if they showed excellent and outstanding results in classes. Moreover, there are “therapy canines” helping children with psychological problems. These dogs usually spend time with one child, because working in group can be found difficult. All in all, I want to conclude that the role of animals in children’s life is underestimated. Of course, there can be some problems with dogs in schools, like allergies to wool or fear of dogs in general. Smart leadership can overcome all these issues and find a way to success. I am interested in getting your opinions, dear readers. Do you agree that dogs in schools can be very helpful for pupils and can improve students’ results? Could this practice be useful in Kazakhstani schools? If your children will attend school with dogs assistances, what will be your attitude? Jalongo, M. R. (2005). “What Are All These Dogs Doing at School?” Using Therapy Dogs to Promote Children’s Reading Practice. Childhood Education, 81(3), 152. 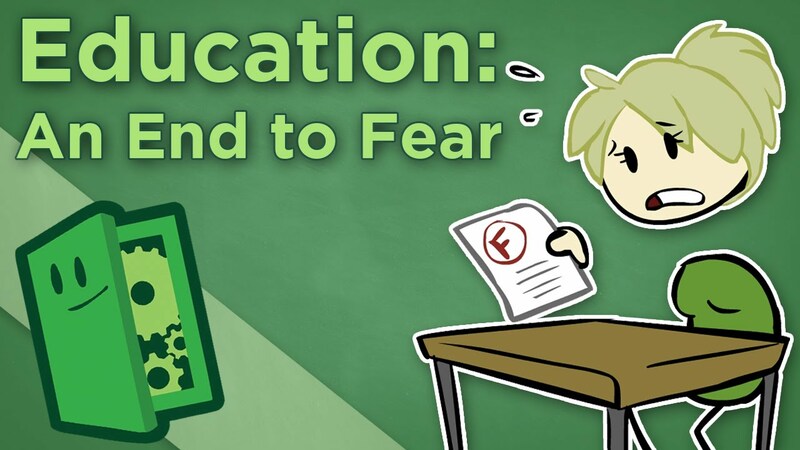 Is it scary to learn physics in English? What about chemistry? Our multiethnic and multilingual country is aimed at implementation of trilingual education. Teaching subjects in three languages seems to be a complicated task for teachers and for students. Studying subjects of natural and mathematical cycle in English is considered as the most frightening and impossible thing. As for me, I had difficulties in understanding some themes in physics or chemistry in high school. If these subjects are difficult to learn in mother language, then what about studying them in English? I want to throw some light on this issue by providing results of sociological research conducted in April 2016 year. 1055 students of 9th and 11th grades from different Kazakhstani regions took part in the interviews. The results showed that only 15% of them are fluent in English. A vast majority of students (68%) did not want to study computer science, physics, chemistry and biology in English. Students believe that they will know neither English, nor the subjects themselves due to the low quality of education (Kuchma, 2016). To my mind, one of the reasons why students feel uncertainty and anxiety is their fear of something unknown and new. People tend to beware of unfamiliar and novel changes. I think that by 2019 year, when four subjects in high school will be taught in English, students should try to improve their language skills and mentally prepare to accept the change. While looking through online journals and articles I noticed the blog of “Aspandau” foundation board member. In his blog the author gives a piece of advice to the Ministry of Education and Science. He suggests that the process of transition to trilingual education should be slower. If school students will not reach Intermediate level of English by the end of 9th grade, how will they learn biology and computer science in English later? We have a little more than two years for increasing students’ language skills, coping with all fears and preparing qualified teachers. Dear readers, do you think all of our schools are ready for teaching four subjects of natural and mathematical cycle in English from 2019 year? If yes, why? If no, why? Do you agree that the process should be slow down?